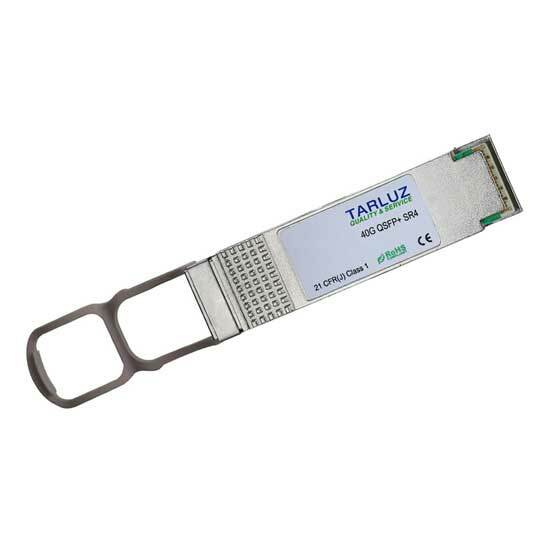 TARLUZ QSFP-40G-SR4 QSFP+ transceiver modules are designed for use in 40 Gigabit links over multimode fiber. They are compliant with the QSFP+ MSA and IEEE 802.3ba 40GBASE-SR4. Digital diagnostics functions are available via an I2C interface, as specified by the QSFP+ MSA. The transceiver is RoHS-6 compliant and lead-free per Directive 2002/95/EC.